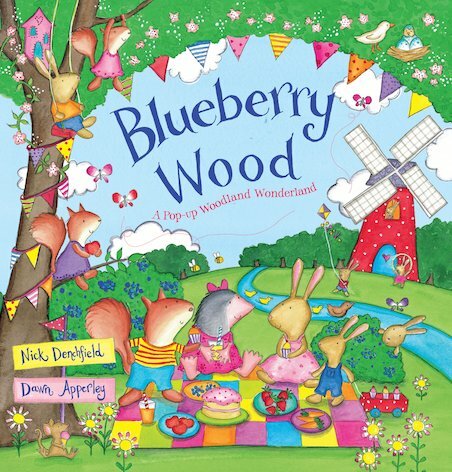 It’s party time in Blueberry Wood! All the animals are busy getting ready for the celebration. Here’s Rabbit with his freshly-baked cakes, Mole with his wheelbarrow full of vegetables, and Squirrel hanging lanterns in the trees. Help to weave the picnic rug, hang up bunting and load the market stalls with delicious treats! 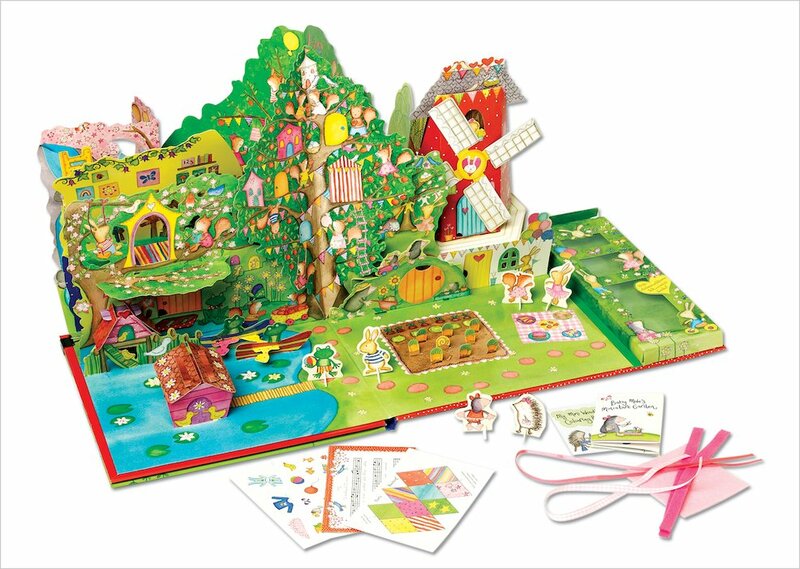 This beautiful woodland play book is full of interactive fun where you can help the animals of Blueberry Wood to prepare for their festivities. There’s a pull-out tray full of sturdy stand-up characters, over fifty press-out pieces, paper bunting to hang, stickers, ribbons, felt pieces and miniature books. There’s a windmill with turning sails, a tree-top schoolroom, a playground with moving swings, and a market stall to make. With recipes, colouring, song sheets and even a felt picnic rug to weave, the celebrations just go on and on!